The suggestions presented in this publication for North Carolina are based on the Good Agricultural and Collection Practice for Herbal Raw Materials prepared by the Botanical Raw Materials Committee of the American Herbal Products Association in cooperation with the American Herbal Pharmacopoeia (published in December 2006) and the WHO Guidelines on Good Agricultural and Collection Practices (GACPs) for Medicinal Plants prepared by the World Health Organization (published in 2003). This publication provides introductory information about growing and wild-harvesting medicinal herbs in North Carolina. More comprehensive resources on this topic are available in the Additional Resources section. While a few North Carolina laws pertaining to certain plants are included here, at the time of publication federal and state rules pertaining to growing or wild-harvesting botanicals are limited. As such, the practices mentioned here are suggested, not mandated, practices. The ultimate goal of Good Agricultural and Collection Practices (GACPs) is to provide consumers with high quality, properly identified herbs that are safe and as free as possible of contaminants, starting with the production or collection of the raw materials. The practices suggested here apply to all raw herbal plant material used to make herbal products, dietary supplements, cosmetics, foods, and drugs. They are designed to help growers and wild-harvesters provide raw material that helps manufacturers meet the Food and Drug Administration’s Current Good Manufacturing Practices they must abide by. Throughout this publication, herb refers to the above ground parts of the plant and roots refers to the below ground parts of the plant. All plant material should be properly identified by genus and species and, if appropriate, subspecies or variety (Figure 1). All growers and wild-harvesters should have sufficient training and experience to positively identify the plant that they intend to harvest and sell. Seek out botanical and taxonomical experts, if necessary, to ensure that you have the right plant. The NC State University herbarium can provide this service. Many buyers also have this expertise. To get a proper identification, provide a full plant sample including roots, leaves, and flowers if possible. Use a field guide for plant identification. One of the best guides for medicinal plants is the Peterson Field Guide to Medicinal Plants and Herbs of Eastern and Central North America, Third Edition (2014) by Steven Foster and James Duke. Manufacturers must be able to provide proof of identity of the ingredients they purchase and use to make their products. Consider preparing and keeping a voucher specimen for this purpose (Figure 2). A voucher is a pressed and dried sample of the entire plant, including roots, in the flowering stage. Some growers and wild-harvesters prepare vouchers for every lot of herbs they sell and provide photos of them to the buyers. 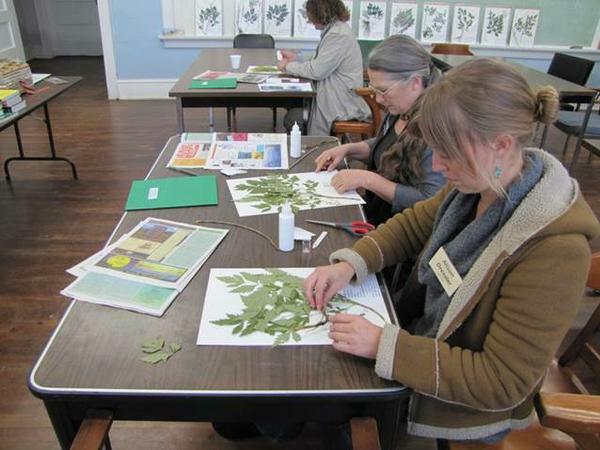 The University of Florida Herbarium’s Preparation of Plant Specimens for Deposit as Herbarium Vouchers provides more details on how to prepare plant vouchers. Plant material provided to manufacturers must be clean and contain only the species and plant part stated on the product label. Any other plant material besides what is written on the label is a contaminant (e.g., weeds, another herb, or another plant part). The product should also be free of insect parts and seeds or roots of weeds and other plants (Figure 3). There should be no pieces of metal, plastic, rocks, or any other foreign matter mixed in. The plant material should not be contaminated with illegal pesticide residues, heavy metals, or pathogens that might cause diseases in humans, such as Salmonella or E. coli. Remember that contamination can occur in the growing environment or during post-harvest handling of the herbs. Harvest plants to protect the integrity of the crop and maintain cleanliness during harvest and post-harvest handling. Harvest at the appropriate life-stage of the plant that will result in the highest constituent levels or as directed by your buyer. Use appropriate tools and methods to harvest the crop, ensuring that everything that touches the plant is non-toxic, clean, and free of all foreign material and other potential contaminants. Be sure that all equipment, tools, and harvest containers are made of washable materials and are thoroughly cleaned before using (Figure 4). Wash your hands after going to the bathroom and before handling herbs. Do not harvest plants and roots that have been contaminated by animal feces. Do not harvest material this is growing near possible sources of contamination, such as roadsides, industrial areas, or utility right-of-ways that have been sprayed with herbicides. Keep the harvested herbs protected from the elements (heat and moisture) and from contact with birds, rodents, and insects. Separate different species from each other throughout harvest and post-harvest processes to prevent cross-contamination. If the roots or herbs need to be washed, use clean water for the initial washes and use potable water for the final rinse (Figure 5). The washing process should take place in a clean area on clean surfaces. Wash all roots thoroughly, following instructions from the buyer. Remember that people are going to consume these products. 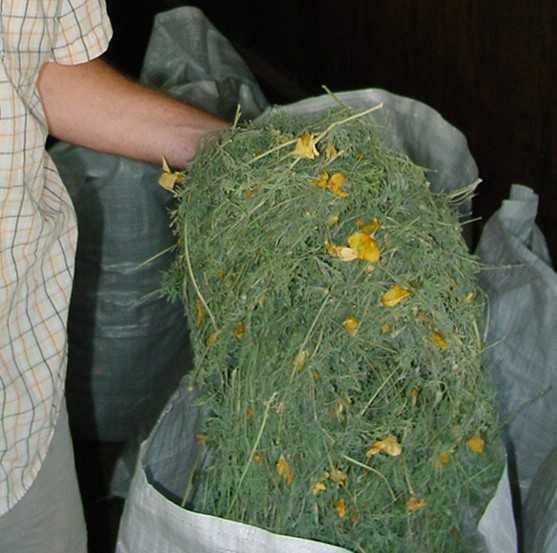 Many roots and herbs must be dried prior to delivery to the buyer (Figure 6). They should be dried in the shade or dark away from direct sunlight, unless specified otherwise by the buyer. Provide good airflow and keep the drying temperature as low as possible to accomplish the task without spoilage. In the mountains, this temperature is usually 90 to 100°F. In the piedmont and coastal plain, if it is hot and humid, the temperature may need to be as high as 130°F to drive off the moisture. Chopping or splitting large roots will often facilitate faster and more complete drying, but verify that this is acceptable to the buyer and find out how they want it done. Dryers should be dedicated to food and herbal products only and should be constructed out of materials that can be thoroughly cleaned (Figure 7). The screens or racks that the plant material comes in direct contact with should be non-reactive and preferably food grade. These components should definitely be non-porous and be able to be sanitized with bleach or hydrogen peroxide if needed. Ensure that the final moisture content of the herb or roots meets buyer specifications, usually ranging between 8% and 12%. Plant material is often dry enough when leaves and flowers crumble when crushed in your hand or when roots snap when broken. Some buyers will want a specific moisture content. In this case, you will need a moisture meter, or you will have to use an oven or microwave drying method for determining moisture in grains. See University of Nebraska—Lincoln Extension publication, G93-1168 Moisture Testing of Grain, Hay and Silage, for more information about this method. Sometimes the buyer wants the herb or roots chopped, shredded, or cut and sifted (Figure 8). Be sure you have access to the proper equipment to do this before agreeing to take on this task. All equipment must be food grade and thoroughly cleaned to prevent contamination from pathogens or cross-contamination from remnants of other plant species. There are shared use facilities in some regions where you can rent space to do this work. Package, store, and ship all products appropriately. Buyers will give you instructions on what kind and size of packaging they require. Use only new, food grade packaging. This packaging can include poly-sacks, cardboard drums and boxes, mylar bags, plastic lined food grade paper bags, and plastic bags (Figure 9). Fresh herbs need to be stored in a cooler until delivery and can only be held for a short time. 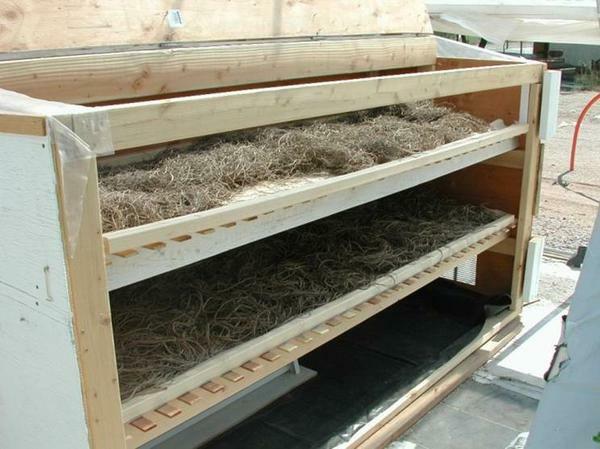 Dried herbs need to be stored in cool, dry, well-ventilated areas. If you live in a very humid area, an air-conditioned room or storage unit might be the most appropriate place to maintain the integrity of the product. Keep herbal products stored away from any non-food products and protect them from insects and rodents. Keep good records throughout the process, retain samples, and put lot numbers and dates on all package labels. Record keeping is one of the most important practices of GACPs. For product traceability purposes, keep detailed records on when each crop was harvested and where each crop was grown or collected from. If a problem arises with a sold product, you want to be able to track that plant back to the location where it was grown in case soil and environmental testing are necessary. Some people even obtain GPS coordinates of the collection site so they can return to the exact location if necessary. For cultivated crops, note what crops had been grown on that site previously and what products were applied to the plants and soil. The source of the seeds or propagation material should also be noted. For wild-harvested crops, provide a description of the site with a note about any activities or situations nearby that might be of interest or concern. Also keep records of any permits or letters of permission you obtained to harvest. Describe how the product was washed, dried, and processed. If the buyer requests lab analysis of your product, this should also be part of the record. Retain a sample of a minimum of 200 grams from each lot or shipment and create a lot number for each. Consider including a photograph of the voucher specimen with each shipment. Create a record for each lot and store in a filing cabinet along with the voucher specimen. Maintain these records for at least five years. Every package you send out should have a label with your name and contact information, the common name and botanical name of the plant species included in the package, and a lot number. The harvest or processing date does not need to be included on the label but does need to be linked to the lot number and documented. The final product should meet buyer specifications. In addition to the guidelines included in this publication, the buyer might have other specific instructions for how a product should be harvested, cleaned, processed, packaged, labeled, and shipped. If any buyer requirement appears to be at odds with the guidelines included here, have a discussion with the buyer to ensure that a safe product will be provided. Regardless of what a buyer might request, it is your reputation and business that is at stake if you sell anyone a potentially unsafe product. Do not assume that the buyer has your best interests at heart. If a buyer asks you to sell a product that conflicts with the guidelines in this publication, you might want to reconsider whether you want to follow through with that transaction. Figure 1. Properly identify plant material by genus and species. Figure 2. Workshop participants prepare voucher specimens. Figure 4. 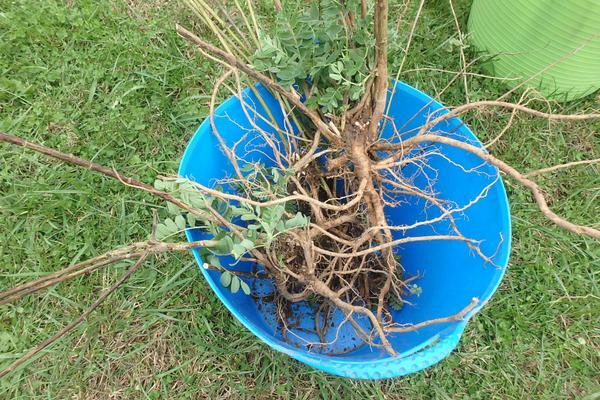 Freshly harvested Astragalus root in a washable container. Figure 5. Cleaning valerian roots with a high-pressure hose. Figure 6. 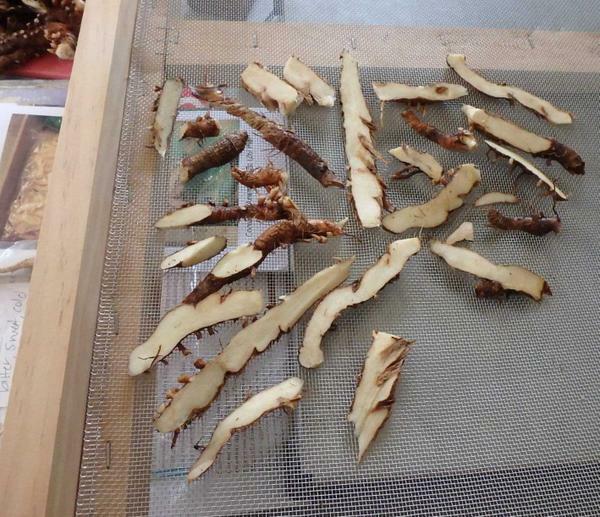 Properly dried root on a drying screen. Figure 7. A small herb dryer. Figure 8. 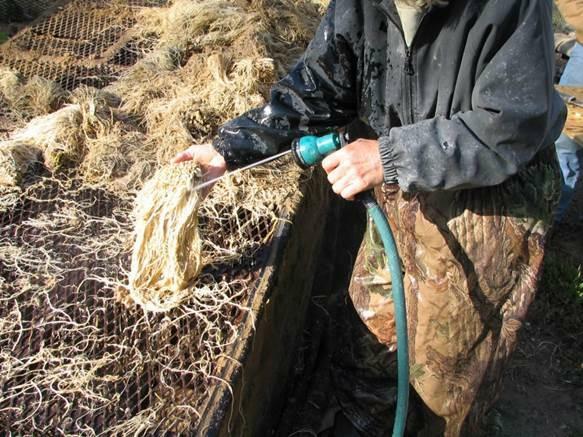 Cut roots on a drying screen. Figure 9. Dried California poppy in a poly-sack. Buy seeds and planting stock from reputable nurseries and seed companies that have good reputations for selling botanicals and medicinal herbs. The seeds and plants must be accurately identified, healthy, and free of diseases and insects. Make sure it is legal to establish and grow specific plants in North Carolina. Check with the North Carolina Department of Agriculture & Consumer Services (NCDA&CS), Plant Industry Division, Plant Protection Section to ensure that the plants you want to grow are not invasive species and that there are no restrictions on growing them in the state. If a plant is a protected or endangered species, there may be restrictions on growing it, or you may need a permit and inspections. The Plant Protection Section’s Plant Conservation Program provides more information about protected and endangered species. If you grow ginseng, many rules apply (Figure 10). 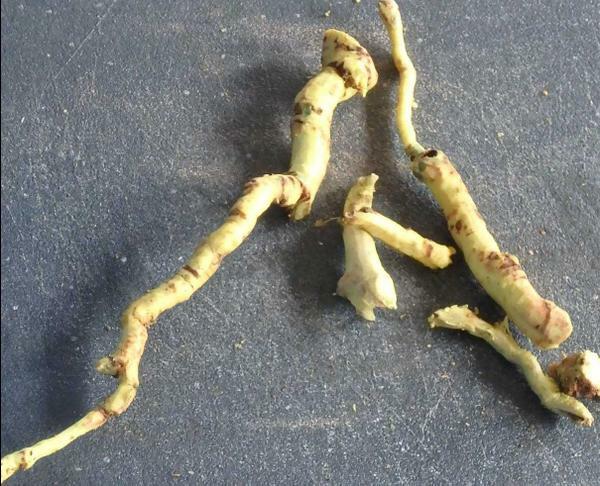 Cultivated ginseng may be dug and sold at any time during the year provided that the grower’s ginseng has been certified as Cultivated Ginseng by a NCDA&CS representative. If you do not classify your ginseng as “cultivated,” you have to follow the same rules and restrictions that apply to wild ginseng. You can only sell non-certified ginseng within the ginseng harvest season of September 1 through December 31. Visit the Plant Conservation Program’s Ginseng page for more information. Some older literature on growing medicinal herbs will state that you need a permit to grow goldenseal in North Carolina. However, that rule was repealed in December 2010. Visit the Plant Protection Section’s Nursery Regulatory Services page to determine if you need a nursery license or need to be a holder of a collected plant certificate. Choose a growing site that meets the needs of the plant (Figure 11). Consider soil type, water drainage, slope, access to good quality water, weed pressure, and previous land use (consider herbicides, manures, and toxic compounds that might have been applied there). Collect soil samples and add appropriate lime, fertilizer, or both. If using uncomposted manure, follow the USDA’s National Organic Program guidelines and apply at least 90 days prior to harvesting above-ground parts and at least 120 days prior to harvesting any plant parts that make contact with the soil. Properly composted manure, which has been managed to ensure all of it has reached 131°F for at least three days, may be used without time restrictions. Try to prevent pest problems. If problems do arise, be sure to use products that are appropriate for the plant (are herbs listed on the pesticide product label?) and that will not leave residues that may make your product unsalable. Determine if your buyer wants certified organically grown plant material. If the answer is yes, you must go through the certification process and follow the rules as defined by the National Organic Program. Even if your buyer doesn’t require organic certification, growing your plants as organically as possible can be a good selling point. Figure 11. 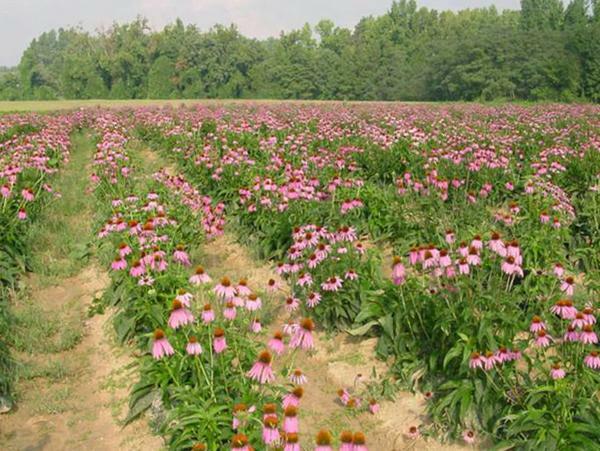 A field of Echinacea purpurea. Check with the NCDA&CS, Plant Industry Division, Plant Protection Section, Plant Conservation Program for information on laws, regulations, and permits that may be relevant to plants you are harvesting. If you collect on someone else’s land you must have the landowner’s written permission with you. Check all the endangered and protected plant species lists before harvesting. 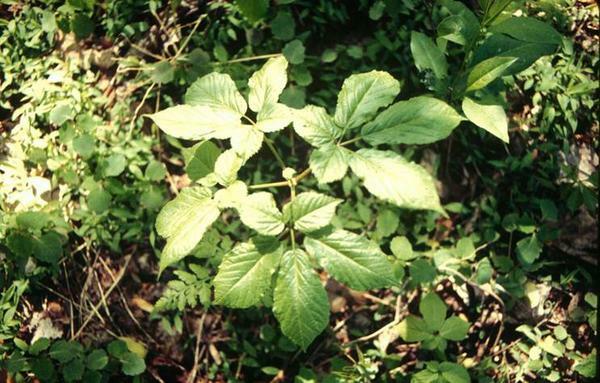 Be sure to review the Plant Conservation Program’s Ginseng page. 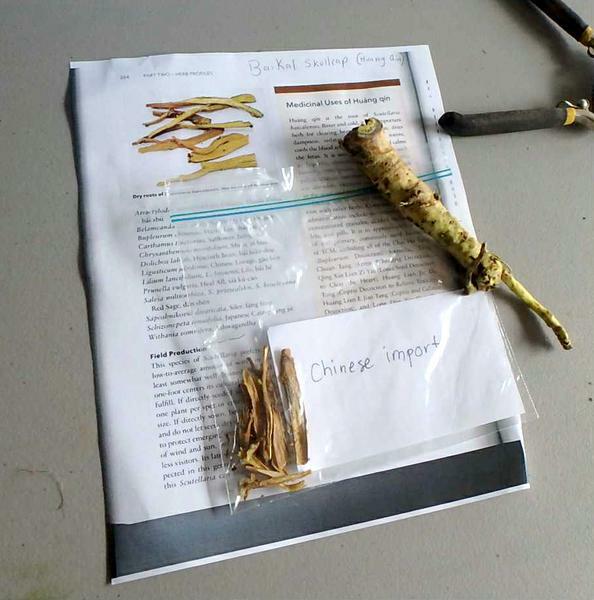 The ginseng harvest season is restricted to September 1 through December 31; there are no exceptions to this harvest season (e.g., collection from one’s own land). 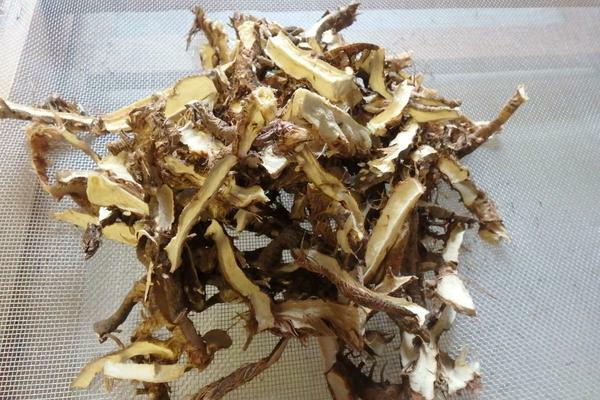 You cannot sell wild ginseng out of season. It is not legal to harvest any plants in national or state parks. National and state forests require permits and have restrictions on how much material you can harvest. The USDA’s Forest Service provides information regarding collection in National Forests in North Carolina, as does the North Carolina Forest Service. Evaluate potential harvest sites to ensure the herbs will be safe for consumption. Do not harvest right next to a road or railroad where plants may be contaminated from exhaust, dust, and materials thrown from passing vehicles. Do not harvest under utility lines where herbicides have been used. Evaluate nearby water sources that may be contaminated with pollution from operations nearby or upstream. Do not harvest from locations where animals have obviously defecated or where there might be any cause for concern about the safety of consuming the plants growing there. Aim to harvest in a manner that will protect the wild populations so they will continue to survive and thrive. Collect only from healthy populations with a large number of plants. Do not take all the plants or even most of the plants. No species-specific guidelines exist for how much is the right amount to harvest. Many botanists suggest not taking more than 15% of a population. Others will say as high as 30%. Using common sense, not being greedy, and thinking about leaving plants for the future can help you make a good decision. Harvest and dig carefully so you do not damage the plants you leave behind. Consider thinning the plants rather than digging out large sections. For plants that set seed, wait until the seed is mature before doing a destructive harvest (digging the entire plant). Collect and scatter the seed before harvesting the plant. When harvesting barks, do not remove all the bark around the entire tree or branch. This is known as girdling and will kill the tree or branch. Instead, leave some of the bark intact with a direct connection from the roots to the branches so the tree will survive. Do not harvest very young plants that have not matured enough to produce seeds yet. Medicinal herbs are destined for use or consumption by people, pets, and livestock. Growers and wild-harvesters must ensure proper species identity, safety, and integrity of the raw materials that they provide to manufacturers of herbal products. While these guidelines are voluntary at the present time, herbal product manufacturers are already regulated, and regulations for growers and wild-harvesters may also be developed in time. Adopting these guidelines now will prepare producers for future regulations and also make current products more attractive to manufacturers. Visit the NC Alternative Crops and Organics Program YouTube channel to view a recording of a workshop on GACPs for medicinal herbs that was held in Mills River, NC in April 2015. Good Agricultural and Collection Practice for Herbal Raw Materials, prepared by the Botanical Raw Materials Committee of the American Herbal Products Association in cooperation with the American Herbal Pharmacopoeia and published in December 2006.
WHO Guidelines on Good Agricultural and Collection Practices (GACPs) for Medicinal Plants, prepared by the World Health Organization and published in 2003. The documents referenced above are excellent resources for all growers and wild-harvesters of medicinal herbs, and I suggest that everyone growing or wild-harvesting these plants read them. Funding for this publication was provided in part by the WNC Agriventures Project, a federally funded Rural Jobs Accelerator Project managed through Land of Sky Regional Council, AdvantageWest, NC State University, and the Community Foundation of WNC. Other project partners include the NC Small Business Technology & Development Center and the NC Natural Products Association.